Divorce is tough enough without having to endure a public battle and reliving all the strife in a courtroom. An alternative to that knock-down-drag-out trial is mediation – the process of both parties sitting down with a trained individual who can help you arrive at agreements that best suit your circumstances. I’m not saying it’s easy – not much about divorce is – but it’s a very good option to explore if you want to get through the process with less damage than a trial can inflict. Having described the process and it’s benefits in previous articles, including why my perspective changed after participating in a mediation as a party, I thought I’d pass on some tips from an expert. Kevyn Mattax, a highly regarded Family Law attorney and certified Family Mediator in Oklahoma City, has some tips to help you get the most out of your mediation experience. 1. Understand the process and what it looks like. Have a discussion with your attorney about not just what mediation is, but how it physically works. Who will be there? How is it set up? Does the mediator provide separate rooms or will you all be in one room? Are there “joint sessions” or does the mediator caucus? Does the mediator provide refreshments or should you bring your own? No question is too silly or basic. 2. Plan ahead for what you might want/need while you are at mediation. Take gum, headache medicine, a bottle of water. Take a charger for your cell phone or your laptop. You may be there for many hours. If you tend to get warm or cold easily, dress in layers and bring a light sweater. If you have young children, make sure that you have someone to pick them up and care for them if the mediation goes longer than you had planned. Do not bring third parties to the mediation unless that has been approved in advance. 3. Come prepared. Make sure your attorney sent the mediator a memorandum with as much helpful information as possible (in advance). Ideally, you, as the client should have reviewed and approved that information. Meet with your attorney in advance and go over your position. Know all of the pros and cons and be prepared with your position, yet, work hard to be flexible and open to compromise at the mediation, if need be. Make sure that all necessary exhibits and helpful materials will be at the mediation. Be as organized as possible so that you can focus on the task at hand. The better informed you are about all of the issues, your assets and liabilities, etc. the smoother the process will be. 4. Expect to feel emotional. Get a good night’s sleep the night before. Mediation can be exhausting and mentally draining. Take whatever steps you can to make sure that you are clear headed. Get up and walk around and take mini breaks during the process. Be honest with the mediator – if you are feeling anxious, overwhelmed, stressed, tell him/her. Mediators are not mind readers, so just speak up and ask for a break and then share your concerns in private. Mediators are expecting these emotions from the parties and have techniques and tips to share with you to help alleviate stressful reactions. Make sure and stay hydrated and eat enough during the day to maintain your blood sugar. 5. Anticipate the resolution. When one side makes an offer, know that there are really only three possible responses: accept, reject or make an offer. Be prepared to go in slow increments at first. Any movement toward resolution is encouraging. Understand that concessions must be made. Concessions are the language of cooperation. Trust the process. Everything that happens at mediation is confidential so you can let your guard down and be willing to truly attempt resolution with the assistance of a good mediator. Kevyn Mattax has practiced law for over two decades in the Oklahoma City area. Her practice focuses on domestic relation issues. 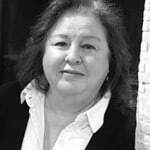 She is one of the premier certified Family Mediators in Oklahoma, along with being a highly successful attorney. Having previously undergone the trauma of her own custody and divorce litigation, she decided to turn a negative experience into a positive career. For more information about services click HERE. Excellent article. Good tips for any negotiative meeting! Very specific and helpful. Thanks for posting this. I agree the specifics help – sometimes we get caught up in the big picture and forget such basic things as bringing a sweater or knowing it’s OK to ask for a break! Great advice. Being prepared, both emotionally and with your materials is so important. I agree, Jill – I’m surprised how many attorneys wing it at mediation. The attitude often seems to be they don’t have to prepare because it’s instead of trial. Which is an attitude that can lead to very bad resolution for their own client! I do feel this is an important second step in trying to bridge problems in relationships or marriages. I feel going to a neutral counselor, pastor or psychologist to help monitor the way the dialogue flows and problems are attempted to be resolved is the first step. I feel a divorce mediator is helpful in making the legal aspects be decided. Very nicely delineated here, Shel! smiles! I agree with you, Robin – the first step is getting the help that could avoid the need for the second step all together!! Planning ahead is wonderful advise for anything you do. Also, emotions will happen at all times. Never expect them to disappear for any reason. So true, Jarek – with a little foresight and preparation, difficult can be less difficult – sometimes that’s all we can manage. Thanks for taking the time to leave a comment. You made a really good point about taking the time to understand what the mediation process is going to be like before making an appointment. It seems like family mediation in divorce can take a lot out of a person emotionally and mentally. Knowing what to expect seems like a great way to prepare yourself to prevent unnecessary emotional and mental stress. Thanks for the tips! Unfortunately, some people do mediation instead of preparing for litigation instead of preparing for mediation to avoid litigation! Glad to see we have some kindred spirits in Canada, Deanna! One of my friends is in the middle of a divorce right now, and her lawyer is really pushing for mediation. I like your idea of planning ahead for things you might need. Maybe I can help her with this, giving her a small bag of the items you suggest. I’d really like to support her in any way possible, and this seems like a good way to do so. Thanks for the idea! Glad you found it helpful, Jane. Love your plan to show support for your friend – it’s such a difficult time. Being prepared for mediation is one of the few things one can do to have a little control over often uncontrollable circumstances. Mediation day can often be very stressful – a great time to send over the meal to warm-up or whisk the friend away for a mindless comedy later in the evening if she’s up to it! Excellent article. Now I won’t forget my headache medicine lol! I recently had a friend who went through a divorce. I agree that you should expect to feel emotional. I tried my best to be there for him, because it was super hard on him. Thank you for such a great article, I will be sure to pass this to him. Glad you could be there for him, Gregory – it is, indeed, a rough path to travel. And, as you know from your own business experience, the journey is ongoing even after the Decree of Divorce is filed. Another article you may find helpful for assisting others who are trying to help loved ones during divorce process is: http://shelharrington.com/divorce-how-you-can-help-a-friend-going-through-it/. Thanks for the services you provide in your community! This is some great information, and I appreciate your suggestion to discuss the mediation process with your attorney. My husband and I have decided to separate, and I don’t know hardly anything about mediation because all you ever here about is divorce trials. I’ll definitely discuss that with my attorney beforehand so I know what to expect and so I’m prepared. Thanks for the great post! I like your advice to come prepared to the mediation. I think that some people wait until the last minute to prepare for this kind of thing. However, if you are properly prepared, you should get the most out of the divorce. 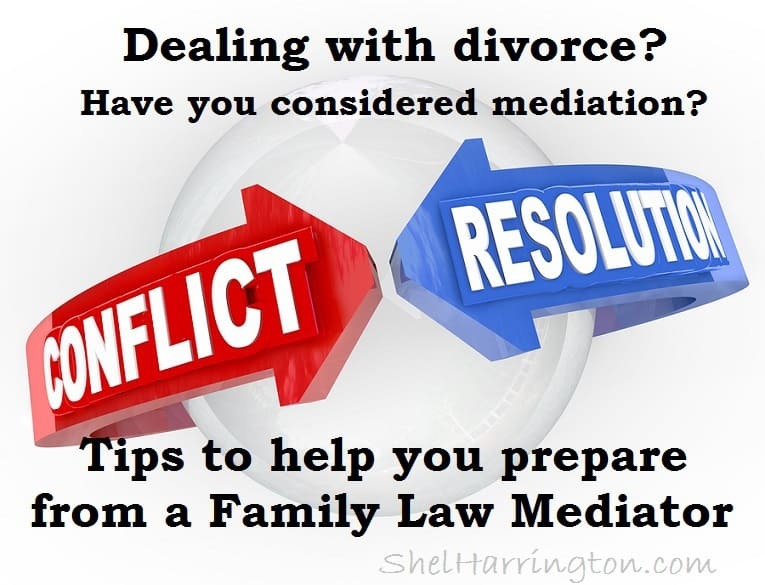 Do you have any other tips about finding a good divorce mediator? Mediation confidentiality is a big deal, especially in a divorce. Knowing that mediation discussions are off the record can encourage more honesty from spouses, which has the dual effect of expediting negotiations and, possibly, achieving more through the process.